*UPDATE* This review refers to the original IPV4 which has been discontinued. Get the new and improved IPV4S at MintyVapes. The IPV4 was one of the most highly anticipated regulated box mods to come out in recent memory. While mechanical tube mods are still extremely popular, it’s undeniable that regulated box mods are the hottest trend these days. So it’s not too surprising to see how incredibly popular the IPV4 was leading up to its launch, especially considering the fact that it’s the newest version of the wildly popular IPV3. So does the IPV4 live up to the hype? 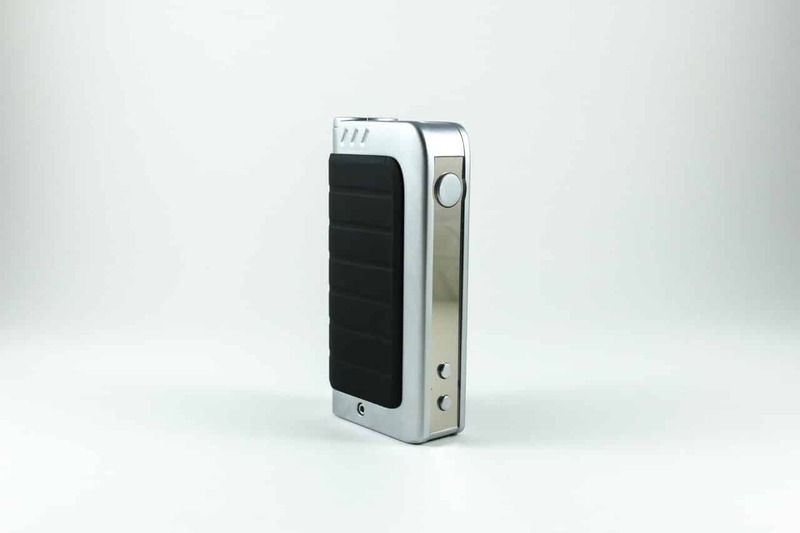 While using the IPV4, it becomes obvious that Pioneer4You listened to the feedback from their customers and created a box mod that includes all of the features that the previous versions lacked. This is an extremely powerful vaporizer that also features improved design aesthetics. The internal components of the IPV4 have been completely revamped, giving you a much better vaping experience compared to the previous versions. The upgraded Yihi chip gives this unit a powerful 100w limit. This unit requires two 18650 sized batteries, and the improved magnetic battery cover makes switching them out a breeze. Surprisingly, removing the battery cover was extremely intuitive and user friendly. No screws, no searching around for where the batteries go in. Just pull it away from the body and your set. It’s rare to find something so user friendly on a box mod. Considering that most mod makers seem to treat the battery compartment as something of an afterthought, the attention to detail in the IPV4 is apparent. The brand new chip is capable of bringing the resistance level down to 0.1 Ohms, and calculates the voltage while the wattage is adjusted. While using this mod, I didn’t encounter any problems with the chip functionality. It’s obvious that they didn’t skimp on the electronics on this one. The temperature control features is by far the number one selling point of the IPV4, and trust me, it delivers. The temperature control feature responded perfectly, never heating the juice to a higher temperature than what I set it to. Even if everything else about this unit sucked (which it doesn’t) the reliability of the temperature control mechanism is reason enough to buy the IPV4. I tested out a variety of clearomizers and RDA’s while using this mod, and they all screwed into the 510 threading perfectly and sat flush with no wiggling or leaking. While it’s not possible for me to test every single tank in existence, it seems like this mod will work perfectly with whichever tank you prefer to use. Needless to say, this box mod is absolutely gorgeous. It’s nice to see that Pioneer4You didn’t sacrifice form for function. Lots of box mods, while having excellent internal components, are extremely clunky looking and embarrassing to bring out in public. The IPV4 is not one of those. The best place to buy the IPV4 with free shipping and excellent customer service is at Mintyvapes.com.